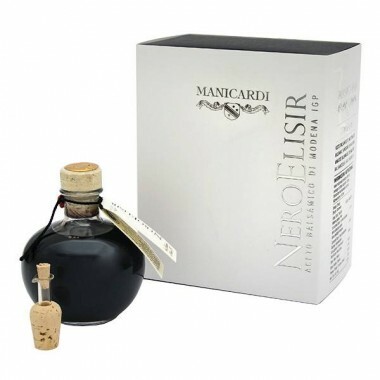 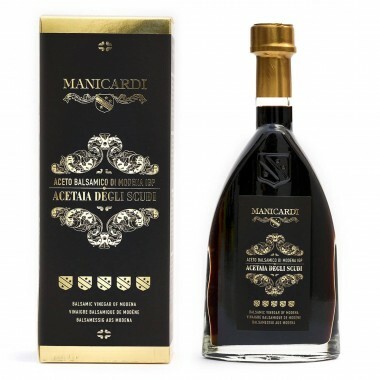 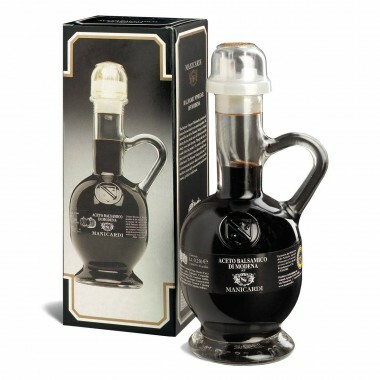 Manicardi Aceto Balsamico Di Modena IGP 3 Scudi - Available | Saporidoc UK. 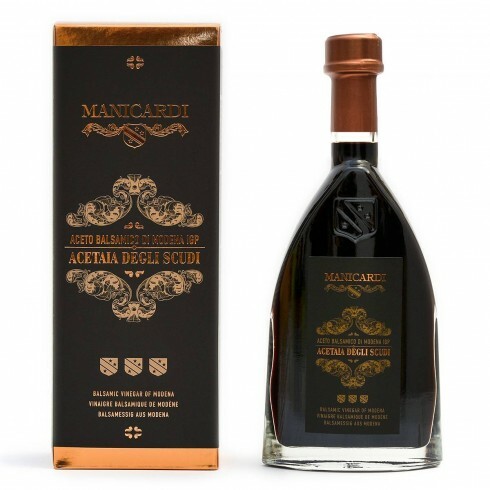 Maturation In small casks made of chestnut, oak, mulberry, cherry and juniper wood. 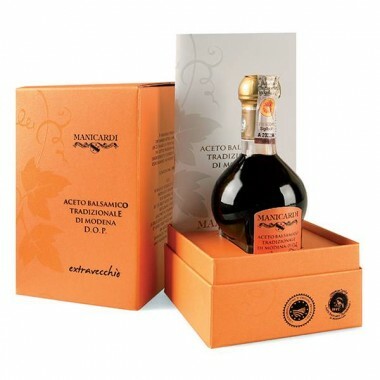 Pairs with Fresh and boiled vegetables, salads, grilled and roasted meat.